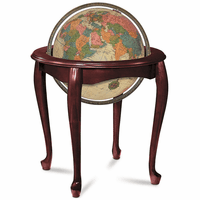 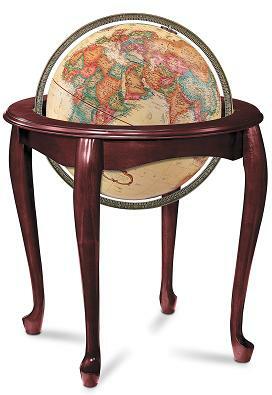 The Queen Anne globe, by Replogles Globes, has the signature curved Queen Anne legs on a solid cherry finish hardwood floor stand. 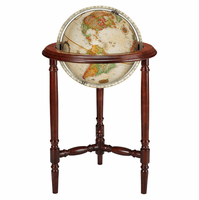 The 16' diameter globe has an antiqued parchment white ocean background, with countries in a variety of soft colors to dilineate the borders. 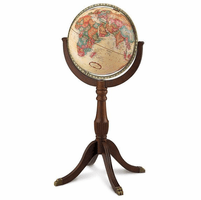 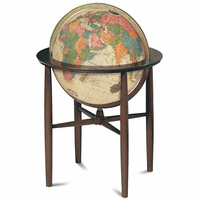 Surrounding the globe is a full die-cast meridian that attaches the globe to the stand, and allows it to spin freely. 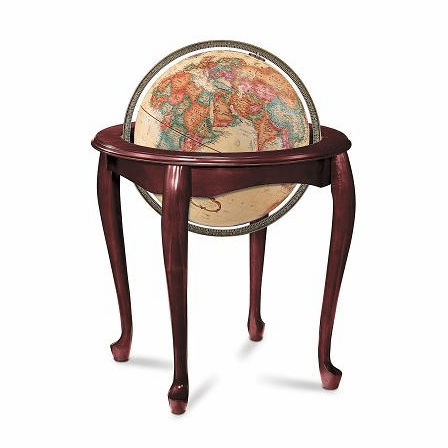 Total dimensions are 24' x 24' x 32', sized to be a dramatic focal point of interest for home or office.